You have 1008 characters. Don’t forget to add important and relevant keywords in your description to improve your iTunes app page and optimize your SEO. Your app's last version was released on May 04, 2017. It is important to regularly update your app. Best practices recommend to update your app every 4 to 6 weeks. This means fixing reported bugs, improving existing features, launching new features etc. Keep an eye on users' feedback. The next great features may already be asked by many users. 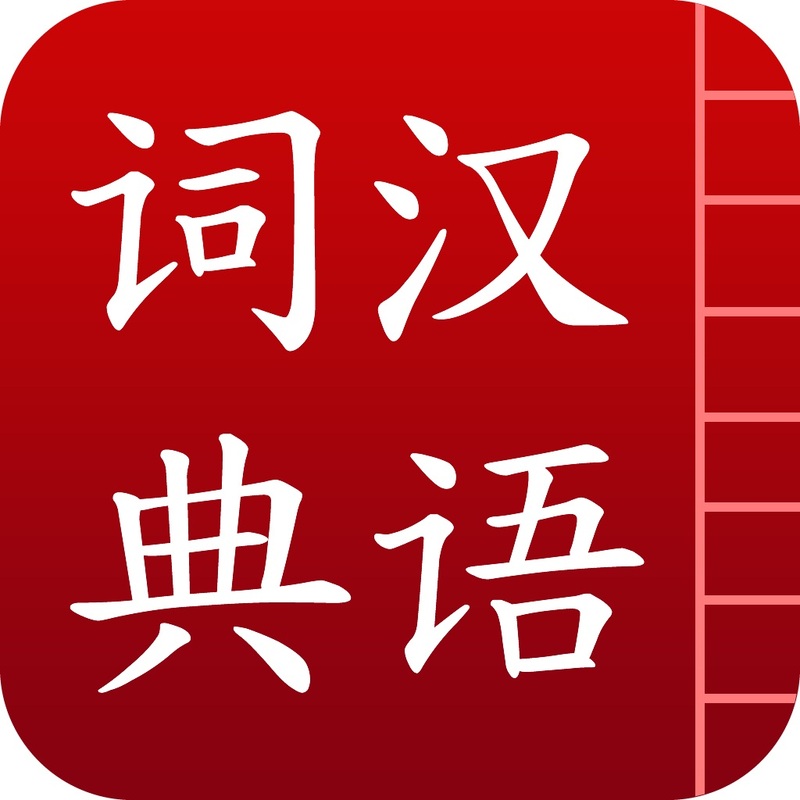 Chinese Dictionary, it is an essential learning tool to learn Chinese. 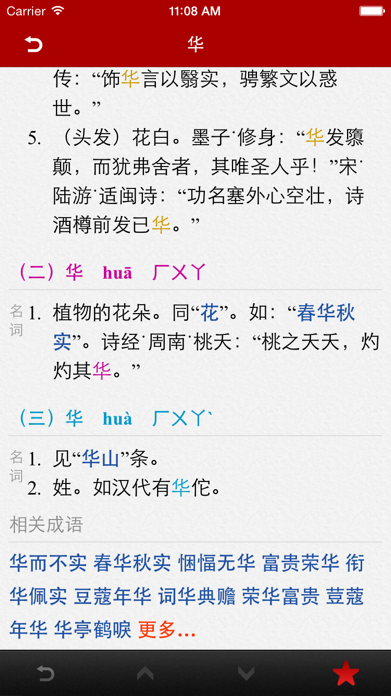 + Rigorous and detailed definitions, most of them have illustration in classical Chinese. 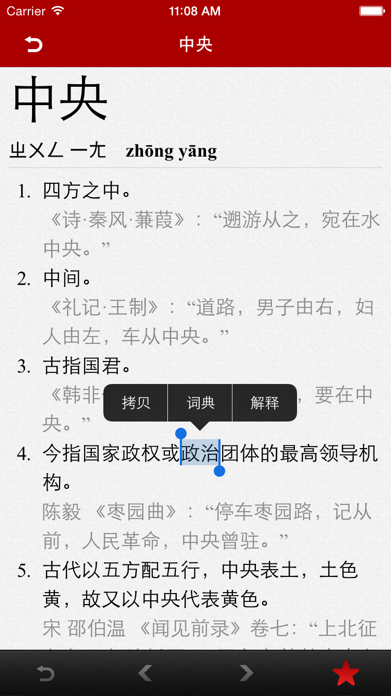 + Can search by Chinese characters, radical, Zhuyin and Pinyin. 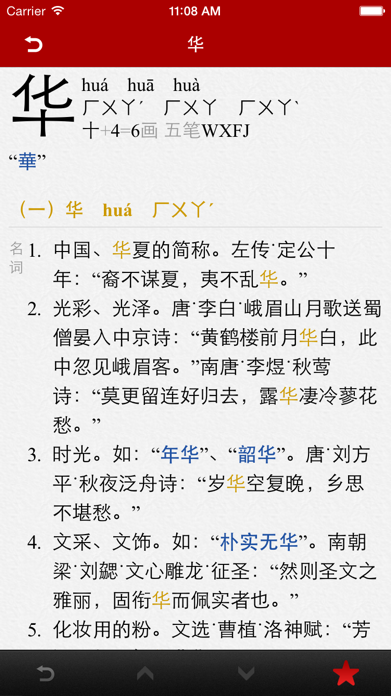 + The definition is listed based on the pronunciation of the Chinese characters and part of speech, it is well arranged and very easy to look up. + Each note includes Zhuyin, Pinyin, number of strokes, Strokes number except of radical, definition, Cangjie codes and so on. + The main Chinese characters are in different colors with different pronunciation tones, which make it is very easy to distinguish. 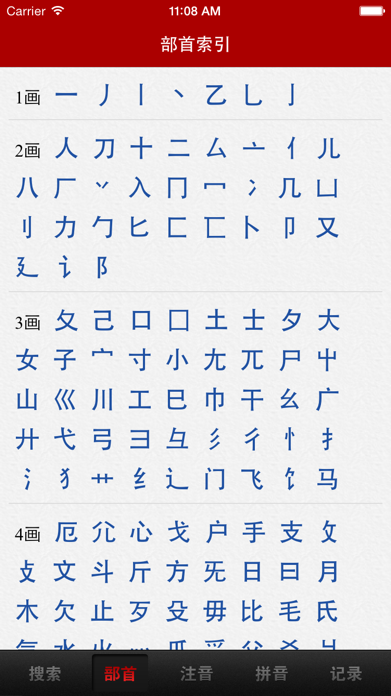 + Include 20,902 Chinese characters which contain in Unicode. + Have "History" and "Favorites" function. + Can be used offline.